Fun to drive in town. Easy to park and manoeuvre. Tight turning circle. Spacious inside. Cheap sunroof option. Expensive to buy. Lacks motorway refinement. Limited seat adjustment. Not as many on the streets as stablemate Smart ForFour. 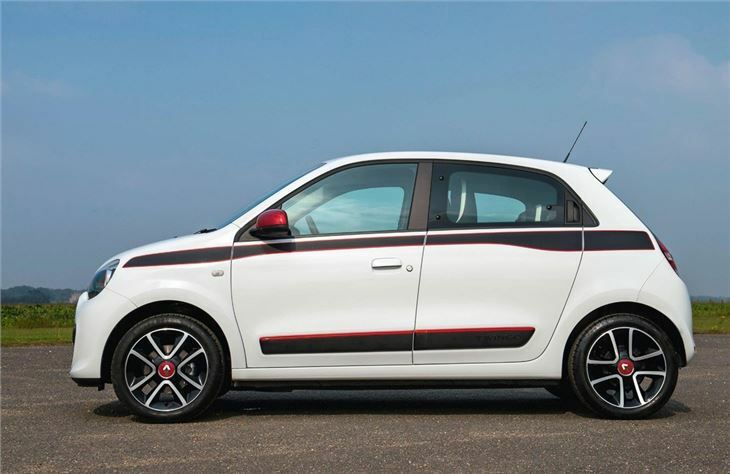 The 2014 Twingo shares its mechanical underpinnings with the Smart Forfour, but looks completely different, with a retro design that utilises stubby bumpers and a bubble shaped cabin. 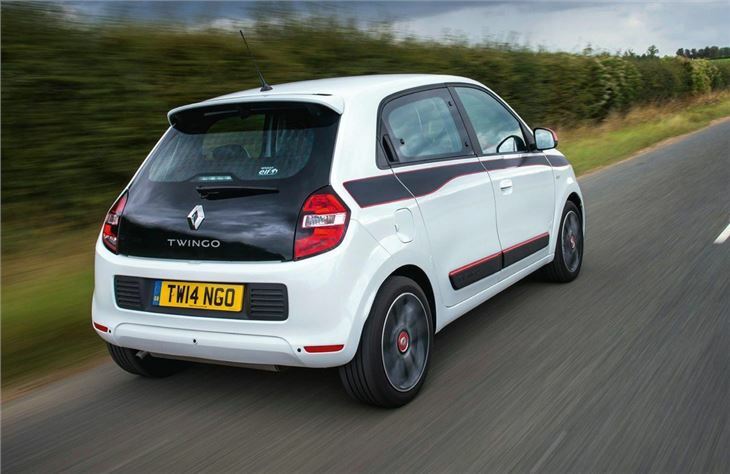 As a result, the Twingo stands out from the city car crowd and looks distinctive at the traffic lights, when upgraded with Renault's huge range of personalisation packs. The cabin of the five-door Twingo is practical and colourful, with an abundance of hardwearing plastics and brightly coloured trims. 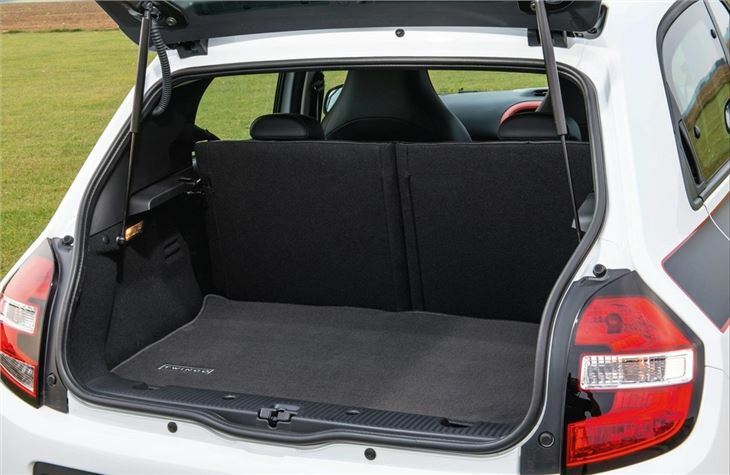 The rear-engine layout frees up interior space, which means the Twingo can easily accommodate four adults, while all three passenger seats can be flattened to provide a flat 980-litre load area. 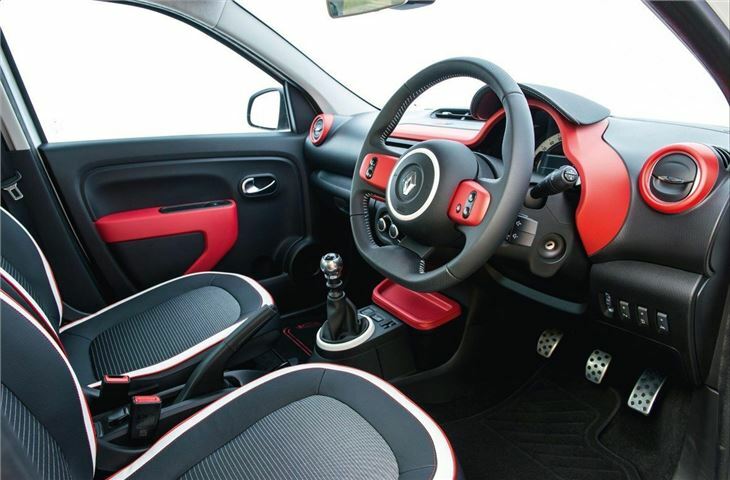 Behind the wheel, the 2014 Twingo is comfortable, with decent visibility, although it lacks a clutch foot rest and the seat adjustments are rather limited. As a result, tall drivers might find it difficult to find a comfortable fit, with an excessively high seating position that can push knees onto the bottom of the steering wheel. However, the dashboard is user friendly and the Twingo also gets a decent amount of equipment, as standard, with electric heated mirrors, DAB radio, Bluetooth and a free app download for Renault's R&Go, which adds navigation via your smartphone. The Twingo is offered with two petrol engines, a turbocharged 0.9-litre with 90PS or a naturally aspirated 1.0-litre with 70PS. Both engines work well in town, with the turbocharged unit offering the best all-round performance. However, the Twingo's trump card lies in its rear-wheel drive layout, which makes it nimble in traffic and ridiculously easy to park. Unfortunately, the Twingo isn't as much fun on the motorway, with both engines lacking high speed refinement. Not only are the three-cylinder engines rather vocal when revved hard, but the cabin also suffers from an abundance of wind and road noise, which can leave passengers feeling rather beleaguered after a long motorway run. 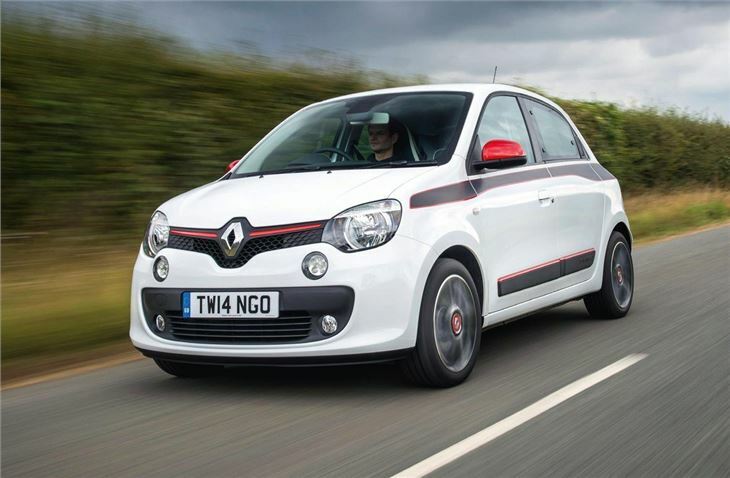 The steering feels rather vague at high speeds, which fails to inspire confidence as the Twingo rattles along at 70mph. 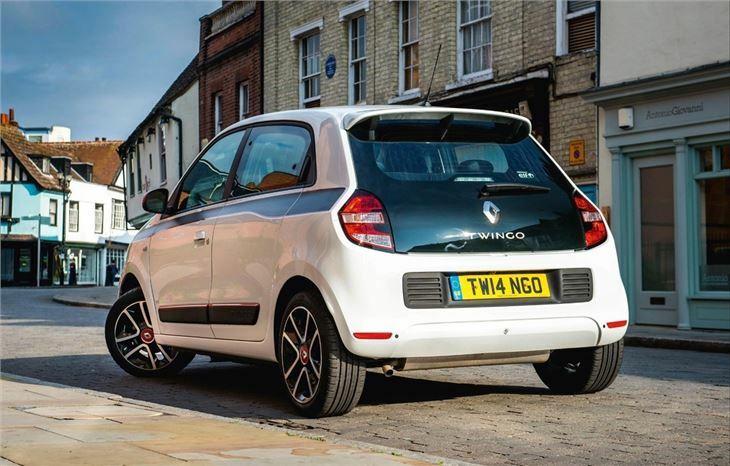 Yet, despite its limitations, the Twingo has plenty to offer for urban drivers. 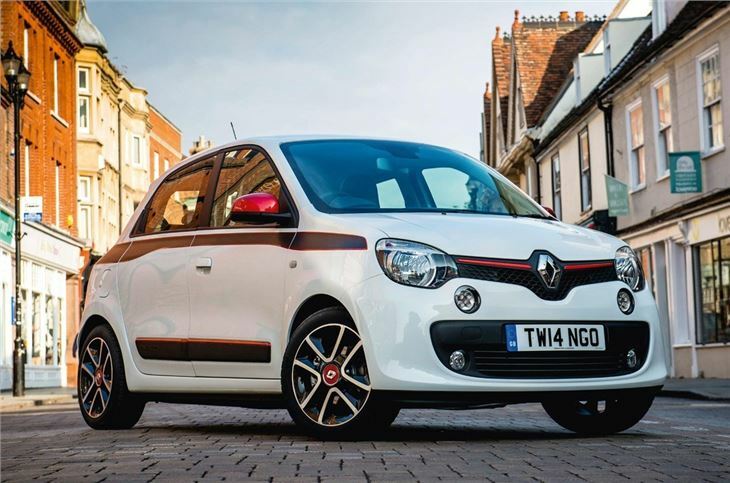 In our view, the small and likeable Renault is a breath of fresh air to the city car scene and we think its retro styling and colourful cabin will find plenty of appeal with younger drivers. What's more, with a high seating potion and five-doors with easy access, we think older drivers will also find the Twingo to be a comfortable urban run around. Could be brilliant if it ever worked.